After drawing three Eastern European countries in my last Postcrossing draw, it was exciting this time to move to another continent altogether! 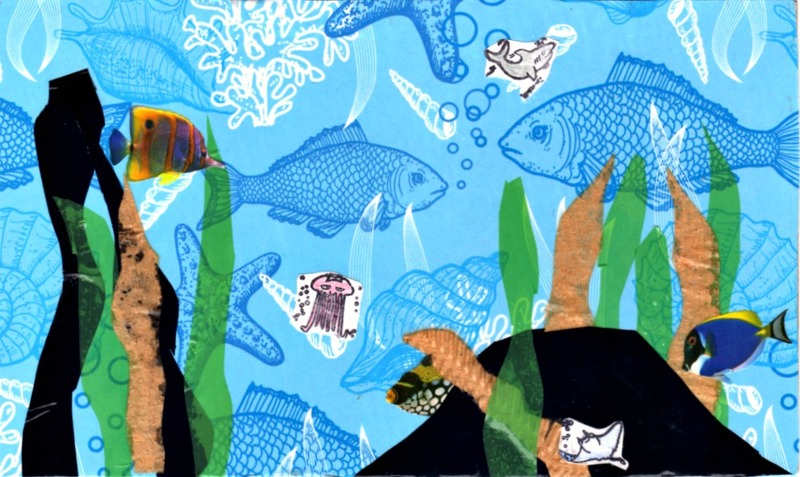 The aquarium card is headed to a medical student in Chongqing, China. She expressed no card favorites, but this one is so beautiful, what’s not to love? 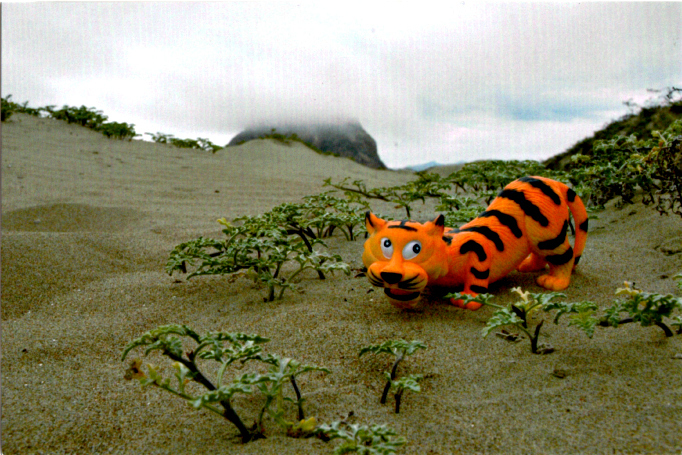 Tiger goes to a high school geography student in Taipei, Taiwan who said he’d like a card featuring “special landform of your country.” That thing looming in the background fog & clouds is a very special landform. The touristy card goes to a guy in Penang, Malysia, who has been collecting postcards since the age of 14. 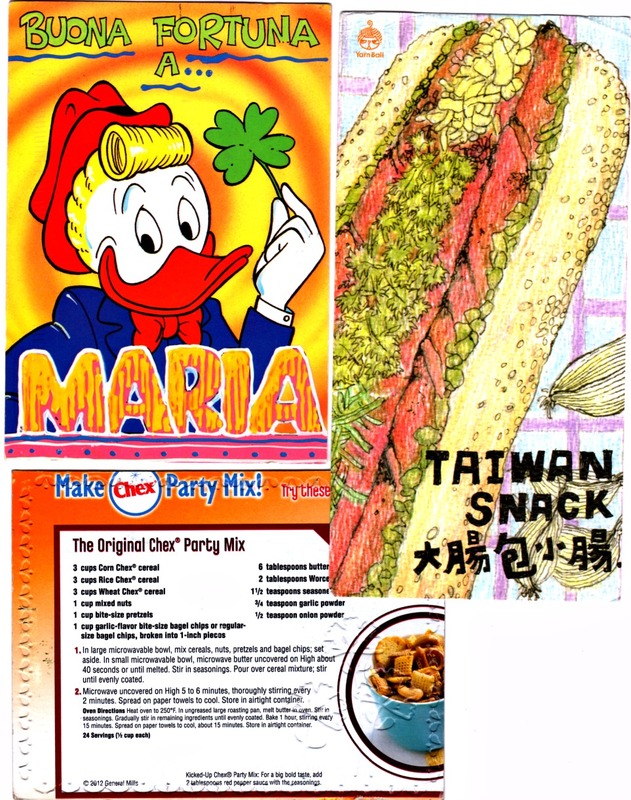 He collects them in an album, and judging by his Postcrossing favorites, he is a huge fan of touristy cards. This just in from Kaunas, Lithuania: my take from the latest swap-bot stamp trade. Looks like I got something extra! I’m sure that’ll come in handy in a Postcrossing forum cartoon card trade–if not sooner. 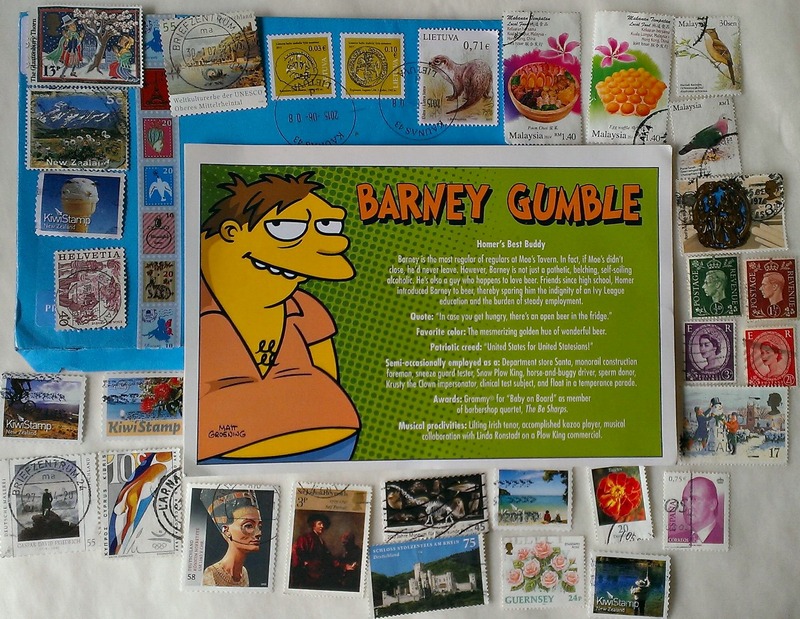 Some nice ones–and I don’t even collect stamps! I especially love the Malaysian food stamps up at the top. And the birds right next to them. And the river otter stamp that is on the envelope! No idea what to do with them, but they are all beautiful! A lot of my Postcrossing cards have been reaching their destinations this week, so I drew 3 more names–and all are neighbors, sort of. Brno is the second largest city in the Czech Republic by population and area. Brno is the seat of judicial authority of the Czech Republic. The card goes to a 12-year-old boy who says he plays badminton, and doesn’t mind what card I send. So I hope he doesn’t mind this card. 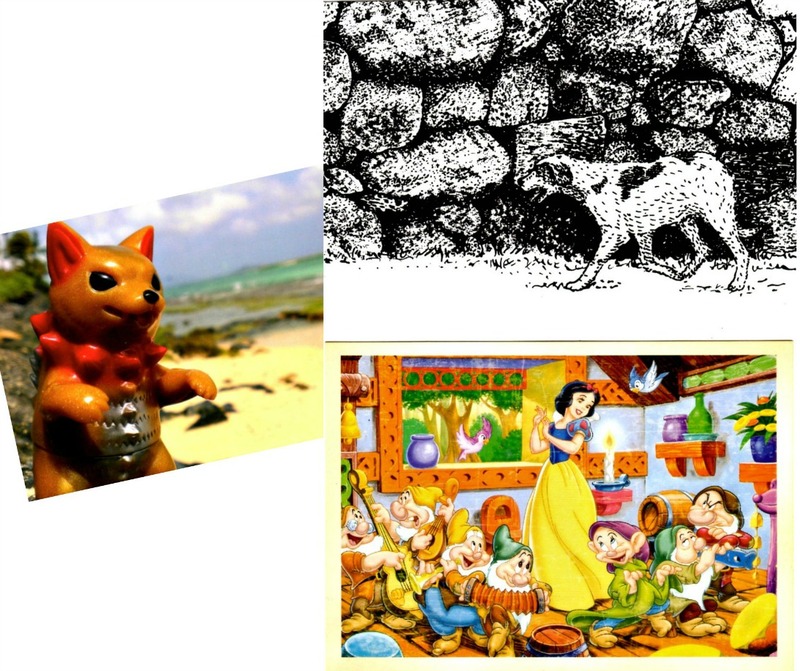 –the Postcrosser, who is soon to be wed, said she likes black & white cards, art cards, and cards with animals. I combined the three for her. Wadersloh is a municipality in the district of Warendorf, in North Rhine-Westphalia, Germany. It is situated approximately 10 km north-west of Lippstadt and 30 km east of Hamm. In it there is a grammar school which is named Gymnasium Johanneum. Wadersloh was the place of a bike race in 2008 with competitors from all over the world. Oh, no–I opened my swap-bot inbox several days ago to find this message: “Sorry to inform that I not yet receive your card…” An elaborate “chunk of cardboard” I sent to Malaysia back at the beginning of April has apparently not found its destination. Mail loses its way all of the time, and what could be worse? I’ll tell you what: getting a “1” or a “3” rating on swap-bot! Will I be penalized for mail that has vanished, no matter the fact that I have now sent out a second postcard to my swap partner to replace the missing card? I do solemnly swear that we are SUPPOSED to literally send out a chunk of cardboard for the “chunk o cardboard” trade! 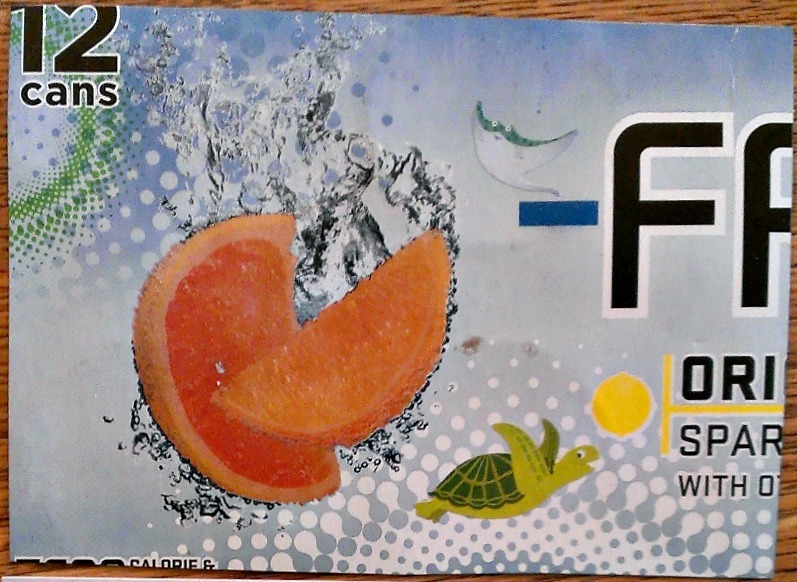 Isn’t the sea turtle a nice touch? Trade creators tend to set up a minimum rating requirement, so if you get one 1 or 3 in the mix, that could affect your ability to get into certain trades–and the way other traders think about you. If someone sends you an extra special swap package that far exceeds the swap requirements, you can give that person a heart…You do not have to give anyone a heart just because you gave them the highest rating. We suggest that you reserve giving hearts to those swappers who you think deserve even more than the highest rating (more than 5 points)…Swap coordinators should never dictate when hearts should be given. Also, swap participants should never demand that they receive a heart for their sent swap items. Hearts are only to be given at the discretion of each swap recipient. Now, I always try to make my swaps (and keep in mind, I am on the site nearly exclusively for postcard exchanges) go above & beyond the trade requirements. And when I rate, I try to do so from a starting place of generosity. 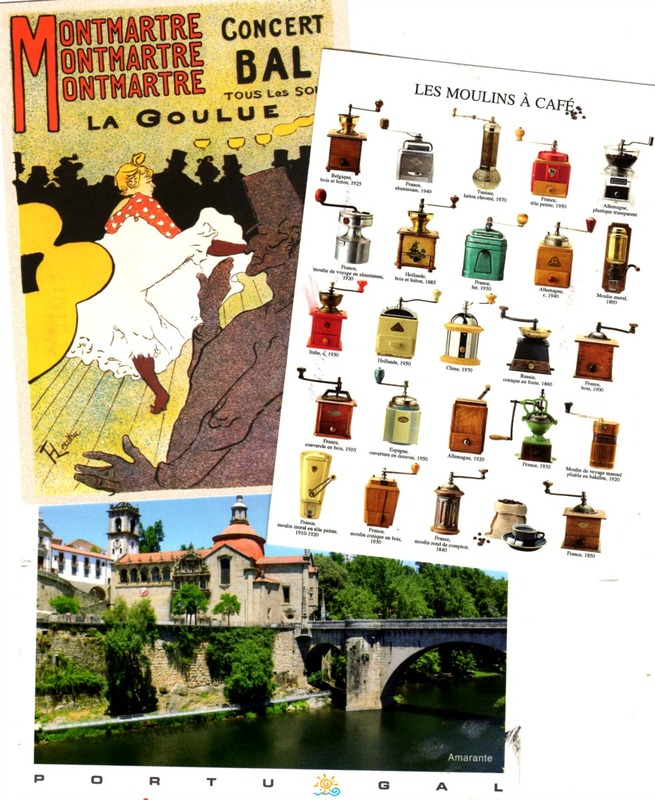 I’m pretty easy to please, I think, in part because I am not looking to fill a certain hole in a collection, either of postcards or stamps. My biggest wish is that a postcard’s sender makes that slight effort to put some writing down on the card–and the more words, the merrier! On the rare occasion I have refrained from adding a heart to a person’s rating, it is because they have utterly not even tried to write a message. We’re talking cards that only say “happy swapping,” and even ones that contain no more than the swap title & user name. The kind of mail that makes me sadder than bills, at that point. So anyhow, I do whatever I can: I choose a card that I think best matches my partners’ tastes, I write a full message (usually runs around 13 lines), I add washi tape (I had absolutely no idea what that was before I signed up for these services), and also ink-stamp impressions or stickers. My cards make themselves known. After the effort I put in, yes, the lack of a heart does puzzle me. I normally would not share this much of a card’s message–mine or anyone else’s–it’s between me, the sender/recipient, and about 100 postal workers–but in this case, I thought I ought to, just to show you I try. And by the way? Cat STAMP, too. No heart next to that 5, as in the previous 16 ratings on my profile. Is that extra exclamation point, and the smiley face, supposed to be my substitute heart? I hate redundant exclamation points!! I’m saying this: I don’t know what more I could have done. So I ask you, fellow swap-bot users: do you have heart problems? 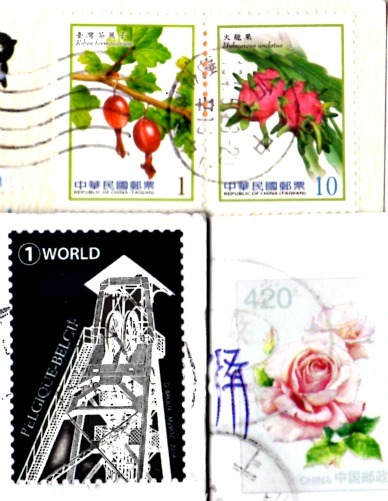 A card I sent to China via Postcrossing nearly two months ago seems to be missing in action. As of today, it’s been traveling 59 days, and I fear all is lost. Well, the postcard is lost. So I grabbed another, & resent. Decided to make it a different card, just in case the first reaches its destination tomorrow. Fellow Postcrossers, has this ever happened to you? And what is with Postcrossers who put lists of expired cards in their profiles? Why do that? Something Fishy: Sent to Alabama, U.S.A. 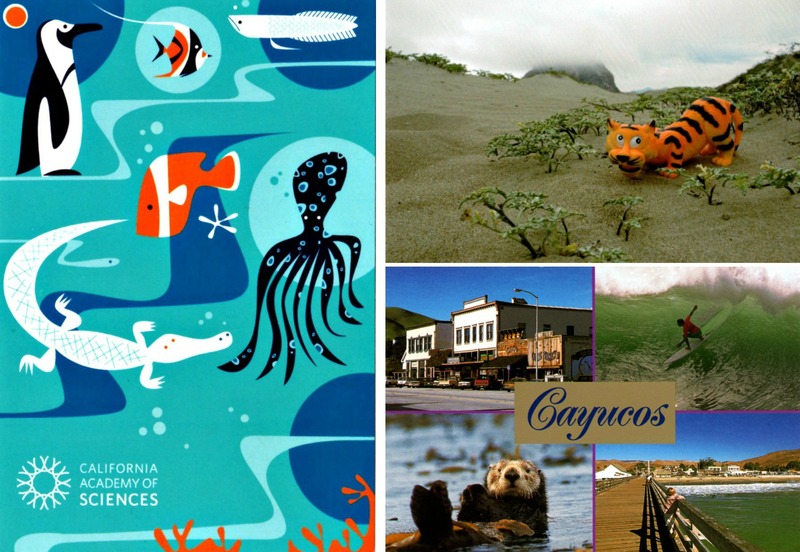 I love fish, sea creatures, the ocean, and aquariums–so how could I resist? I couldn’t, that’s how. Here we have some gift wrap, layered with black plastic from a mailer, green plastic from a newspaper wrapper, brown paper coffee filter, stickers, and colored ink-stamp impressions. Since I was hauling all of this stuff out, putting in all of this time & effort, I got the most I could out of it by making six postcards, rather than just one. This means you will be seeing various other versions here as time goes by! 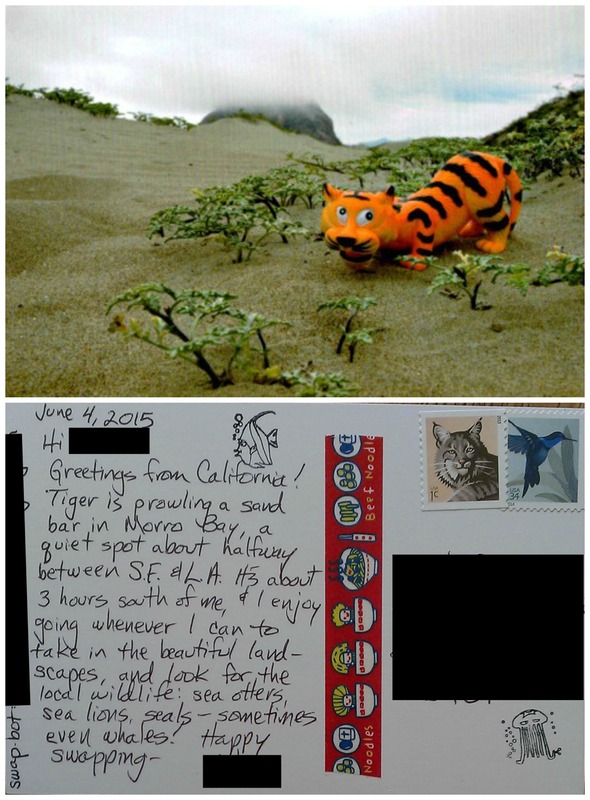 3 Postcrossing arrivals in a day–whoa! Received from Paris, France, after a trip of 21 days and 5,563 miles, it’s that classic Moulin Rouge image. I’ll show you the stamp at the bottom of this post, but I did not scan my very favorite part of this piece of mail: 3 puffy owl stickers, including one which depicts the owl holding a cup of coffee over a saucer & saying, “HOO HOO.” Charming, no? The card that says “Portugal” comes from Portugal–Amarante, Portugal–and it took 10 days to travel the 5,580 miles to get to me. The sender tells me that building by the river is the Monastery of São Gonçalo. Ready to see the stamp? 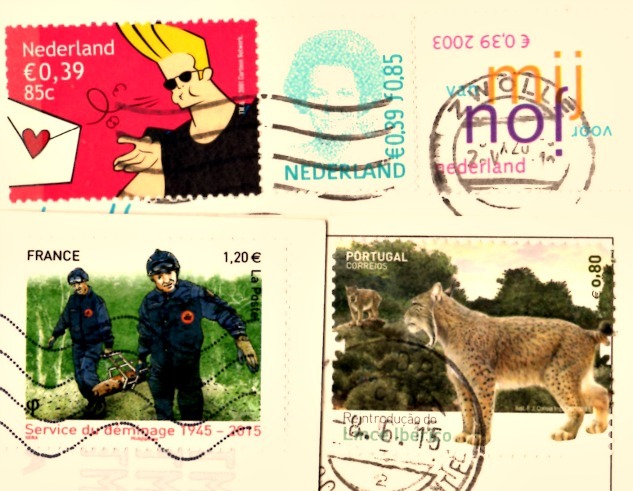 Now, I really like the wildcat stamp, but it’s the JOHNNY BRAVO stamp that really wowed me! Now, that woman in Johnny’s shadow–it seemed to me she looked an awful lot like Shirley Temple Black, but my web search for “Shirley Temple stamp Netherlands” got me nowhere. Ah, well. The Clamp postcard comes from Shanghai, China, in a Postcrossing Forum anime & manga trade. 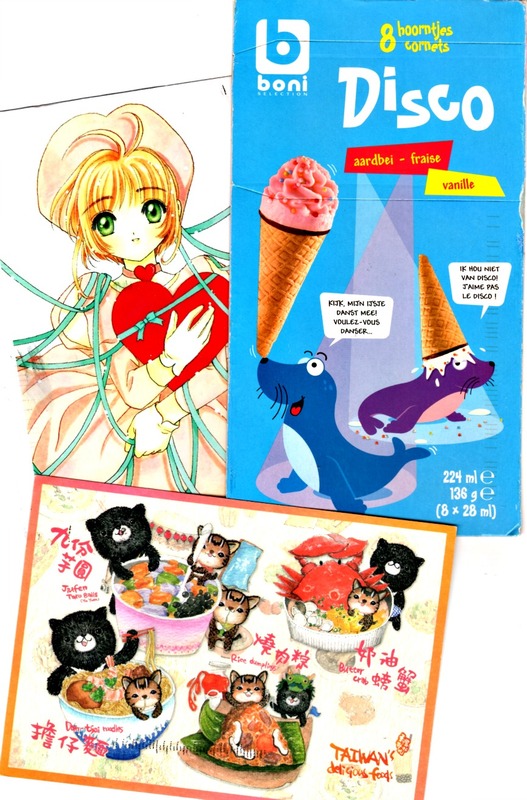 The colorful card of sea lions balancing ice cream cones is part of a swap-bot “chunk-o-cardboard” trade, and it comes from the same member in Geel, Belgium who previously sent me the hippo card I also love. I believe this is not really an ice cream snack, but actually a room-temperature biscuit, but perhaps the sender will come by to correct me if I am wrong. Stamps! That rose one is printed directly on the manga postcard. What a cool haul this time around! Take a gander at that gander! The Gladstone Gander card came to me from San Francisco, California, from a friend who recently took a trip to Italy. I love my souvenir. Ending with more edibles, there is the recipe cut from a box of Chex cereal. This came to me from St. Paul, Minnesota, thanks to one of those swap-bot “chunk o cardboard” trades I love so much. The sender tells me, “when I make Chex Mix I skip the nuts and pretzels. I am a Chex separatist.” Looking around my place, I have no Chex. Do you suppose I could make do with Cheerios, Golden Grahams, and corn flakes? Stamps! I vote yes on the flowers, especially the lehua, and a great big huge NO on the clown. 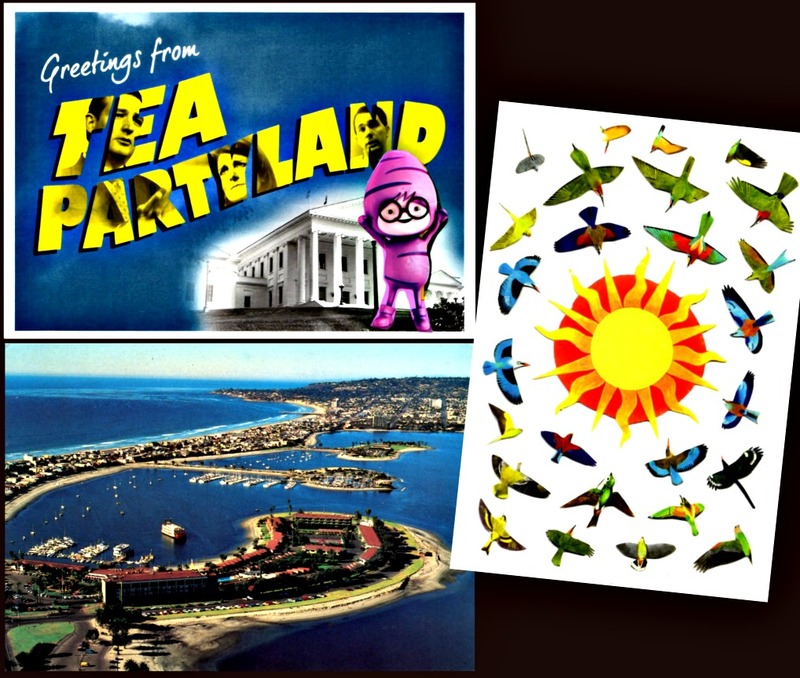 The “Greetings from Tea Partyland” postcard went to Raleigh, North Carolina, to the postal art blogger known as Dear Detective! It’s a thanks for the postcard she sent me, shown here a few days ago. This card was sent to me in a mailing by the Democratic Governors Association, bearing a pre-written message so I could mail it to a friend and scare them. I slapped on a new backing so that I could write my own message, and I also glued on that cute, friendly little character from a bag of taro chips. The next two cards are regular Postcrossing draws. The birds will be flown (I assume) to Cape Town, South Africa. The user’s profile photo shows her looking at the camera through a pair of binoculars, and she says birding is one of her new hobbies–so I found the birdiest card I could. Lastly, that little peek of San Diego is headed for Joensuu, Finland. 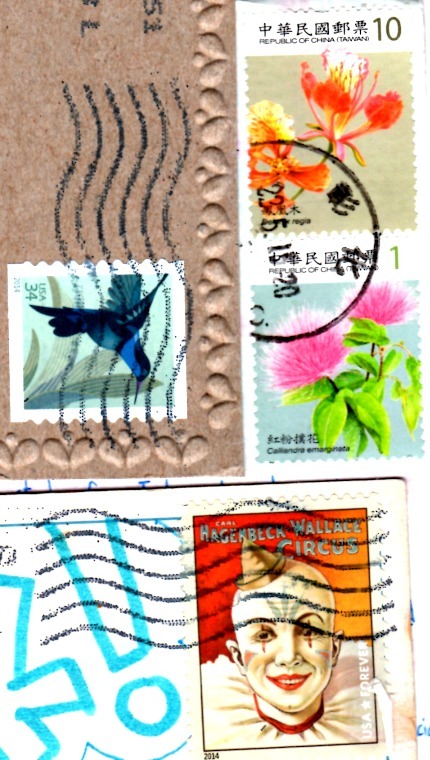 Most of the cards marked as favorites in her Postcrossing profile were scenery-type images, and this was the closest I felt I had at the time to what she was looking for (though she does write, “The joy comes when the cards around the world. I’m glad all the cards…”).